Any business owner will tell you that running a business is no small feat. Running a business is hard, and making a profit through the business is even harder. Making money ultimately is the name of the game, and it is vital to understand the best ways to increase profit vs revenue with strategic cost cutting, without damaging the business in any way. 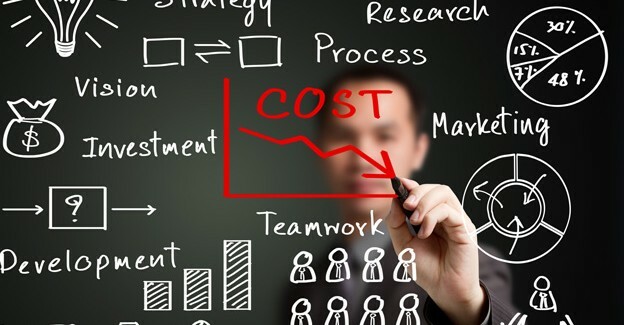 Read on to learn more about business success through cutting costs. To start the process that will lead to business success, certain areas key areas should be cut down financially, but it is important to ensure that these strategies also prevent losing customers as well. Human resources, freight and packaging are areas that can easily be cut down to streamline business profit. Human resources can be scaled back significantly through the use of a Professional Employee Organization (PEO), which will help with payroll processing and employee benefits. A PEO also often enjoys discounts on these benefits and streamlines the handling of human resources rules and regulations. Freight and packing is an area requiring careful examination, to ensure that routes are efficient and truckloads are as full as possible. In addition, it is important to look over shipping costs and assess realized costs versus what is being charged to customers. Shipping is not an area to be targeted for generating significant profits. However, it is advisable to ensure that your rates are high enough to ensure the business does not lose money on shipping. Both freight & custom packaging and shipping are highly malleable and can be shaped to business needs. Other areas that can be financially cut to improve your business success include financing, legal fees, and manufacturing. Negotiation is a key element in business success. All successful business owners know how to get what they want from vendors, suppliers, competing businesses and customers. To help a business succeed financially, learn how to negotiate, and then utilize your skills to achieve lower interest rates, lower credit card fees, as well as lower prices with your business’s suppliers. Negotiation within business is a highly desirable skill, and negotiation tactics used to lower prices are essential in running a business. If your business has multiple locations, you can definitely cut costs in this area. Conducting a geographic income statement can help you identify areas in need of improvement or closing. For example, one business location may be greatly outperforming another. If that is the case, you should consider closing the additional location in order to better allocate business finances. If you are a multiple location business owner, create a geographic income statement to help you identify areas that are ripe for cost cutting. A business’s success belongs to the owner along with everyone that helped him or her build it, which is especially true in a family business. Success is, for the most part, measured in monetary value. Therefore, the more profit a business makes, the more successful it is considered, improving morale and perception throughout the organization. The best way to boost profits is by cutting costs. While companies in other countries have been struggling, American banks have been absolutely thriving, and the secret to their success is the cutting of costs throughout their enterprises. In order for your business to get ahead in the game, follow the strategy big banks in America follow, and cut costs within your business. Every business deserves the opportunity to be successful. Hard work alone is not always enough. Identify areas to implement cost-cutting measures and trim the fat from an organization on the rise.